LED Street Light: Warm White or Cool White Color Temperature? Street lighting is designed to illuminate roadways, streets and adjacent areas to enhance safety for drivers and pedestrians. Legacy street lighting systems typically use high pressure discharge lamps, in most cases high pressure sodium (HPS) and metal halide lamps. These light sources used to be recognized to give the highest amount of lighting per watt of electricity used. As natural resources and energy will be depleted eventually, it gets to be important to save fossil energy and develop new everlasting energy. Because of this, people throughout the world are making efforts in this direction for public constructions. The demand for energy-efficient LED Street Light is driven by energy efficiency and various other factors including enhanced product life, lower maintenance costs, and reduced environmental impact. There's a widespread application of outdoor lighting that incorporates cool white CCT (correlated color temperatures) light sources because of the ignorant preference in the perceived feel of "cooler" or "whiter". In countries with low latitudes the climate is hot and people prefer lights with high color temperatures which bring them a cool feel. The dominance of fluorescent lamps in the past few decades has made some people accustomed to the cool whiteness of lighting. They believe "whiter" the light "clearer" the visibility. However, in the area of LED lighting should people still make their choices based on how they feel? Never again! 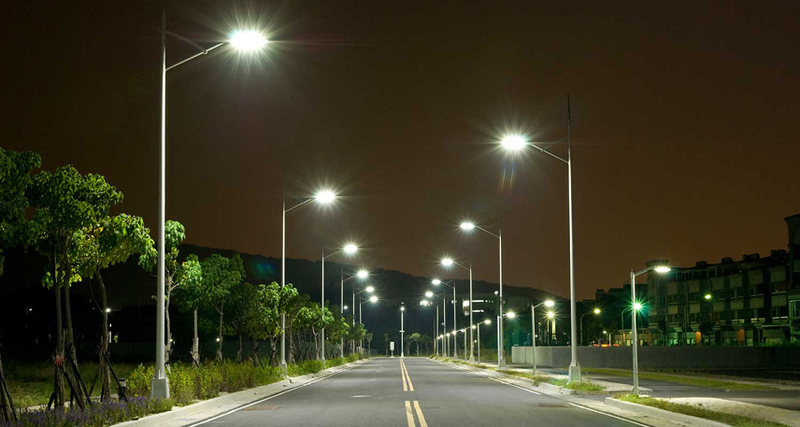 On June 14, 2016 the American Medical Association (AMA) released an official policy statement about led street light. They expressed serious concerns on the detrimental effects of high-intensity LED lighting. As light emitting diodes are nearly monochromatic light sources that emit light that has a single color while white is essentially a blend of light of two or more colors (or wavelengths), at the present time the most preferred route for creating white light from an LED module is by employing a single color LED (mainly a blue LED) and a wavelength converting element (which is usually a yellow phosphor). The color emitted by an LED is typically determined by the material from which it is formed. A representative illustration of a white LED consists of a package of a blue LED chip, made of gallium nitride (GaN), coated with a phosphor most notably Yttrium Aluminum Garnet (YAG) which operates as a wavelength converting element (WCE) to generate a white color of the desired color temperature. By changing the fill fraction composition or % weight the white light color can be tuned. The characteristics to generate white light across a large chromaticity space is advantageous for different lighting applications. Despite the energy efficiency benefits, high-intensity LED lighting emits a substantial amount of blue light that appears white to the naked eye and produce more undesirable nighttime glare than conventional lighting. Blue light poses potential hazard or a photochemically induced retinal injury as a consequence of radiation exposure at wavelengths predominantly between 400 nm and 500 nm. The excess blue and green emissions from phosphor-coated LEDs result in increased light pollution, because these wavelengths scatter more within the eye and end up with detrimental environmental and glare effects. The new AMA guidance calls for proper attention to optimal design and engineering features when switching to LED lighting that mitigates detrimental health and environmental effects. They specifically point out that the blue-rich LED lighting can decrease visual acuity and safety, leading to concerns and creating a road hazard. White LED street lights are currently being promoted to cities and towns all over the world in the name of energy efficiency and long term cost savings. CCT between 4000K and 6500K has been the choice for many countries that have recently retrofitted their street lighting from HPS to LED. However, 29% of the spectrum of 4000K LED lighting is emitted as blue light, which the human eye perceives as a harsh white color. Apart from its impact on drivers, blue-rich LED street lights operate at a wavelength that most negatively suppresses melatonin during night. White LED lamps have 5 times more impact on circadian sleep rhythms than conventional street lamps. High-intensity LED lights have a spectrum that comes with a strong spike at the wavelength that most effectively suppresses melatonin at night time. Melatonin is a hormone secreted by the pineal gland, a small pinecone-shaped gland located near the center of the brain. Through melatonin release, the pineal gland maintains the internal clock regulating the natural rhythms of body function. Melatonin has several influences on physiological functions of human. This hormone promotes sleep, affects emotion, stimulates maturity and reproduction, and has an impact on the immune functions. Researches have discovered that the production and the secretion of melatonin are primarily affected by light - melatonin possesses a higher light sensitivity under the color lights with short wavelengths; on the other hand, melatonin has a lower light sensitivity under the color lights with long wavelengths. It is estimated that a phosphor-coated LED lamp is at least 5 times more potent in influencing circadian physiology than a high pressure sodium light based on melatonin suppression. Human perception of an object's color originates from color sensors in the eye responding to electromagnetic radiation reflected off the object. Under mesopic vision, the human eye is more sensitive to light of short wavelength. Hence, phosphor-coated white LEDs that have higher blue light component would have higher luminous efficacy under mesopic vision than under photopic vision. This trait has been in the past described as an advantage of white LEDs. Nevertheless, higher CCT is associated to lower transmission in fog or haze. Since there is Rayleigh scattering and Mie scattering, light fails to fully transmit through fog or haze. Fog penetration ability is an indispensable consideration for the reason that street lights are utilized to illuminate the road under foggy or hazy weather. Generally speaking yellow light has better fog penetration capabilities than white light. The fog penetration ability of most white LEDs is poor. Low fog penetration ability also results in higher urban skyglow pollution from white LEDs owing to molecular (Rayleigh) and aerosol (Mie) scattering. Such scattering not only reduces the illumination of the ground and make ground objects hard to observe (and thus make the roadway even less safe), the skyglow from scattering also holds an undesirable effect on astronomical research, and adversely affect the general aesthetics of the sky at night. Inefficient dark adaption is one important factor that causes traffic accidents during the night. In an attempt to make dark adaption faster and improve driver's driving safety and efficiency, low color temperature illumination typically used for illumination. LED lighting with a cool white or daylight CCT has relatively high amount of blue light components and the longest dark adaption time. On the contrary, warm white LEDs have relatively low CCT and a high amount of long wavelength components, and therefore they have short dark adaption times. Dark adaption should be an important design consideration for roadway lighting and is critical in tunnel lighting. 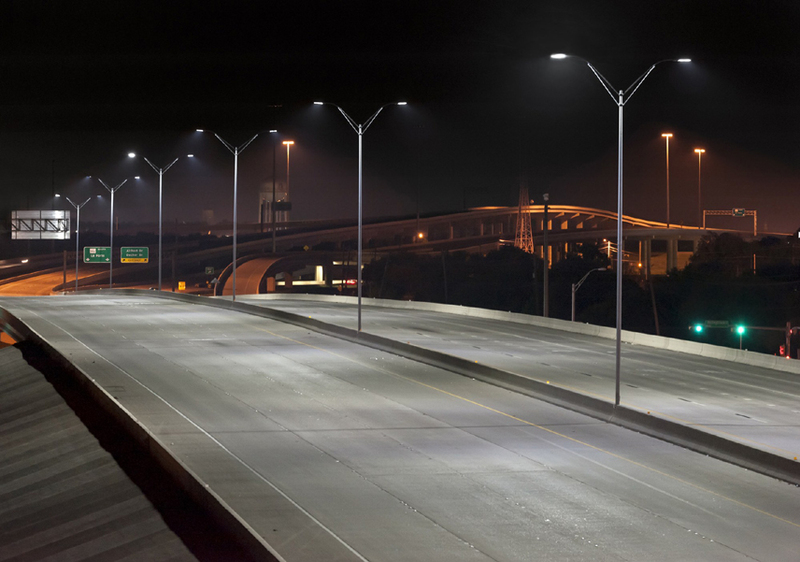 AMA encourages the use of 3000K or lower lighting for outdoor installations such as roadways. At 3000K, the human eye still perceives the light as "white", nevertheless it's moderately warmer in tone, and has approximately 21% of its emission in the blue-appearing part of the spectrum. This emission still remains very blue for the nighttime environment, but is a substantial improvement over the 4000K lighting considering the fact that it reduces discomfort and disability glare. Attributable to different coatings, the energy efficiency of 3000K lighting is only 3% less than 4000K, yet the light is significantly more pleasing to humans and has a reduced amount of an impact on wildlife. Furthermore, all LED lighting should be properly shielded to minimize glare and detrimental human and environmental effects, and efforts should be given to take advantage of the ability of LED lighting to be dimmed for off-peak cycles. 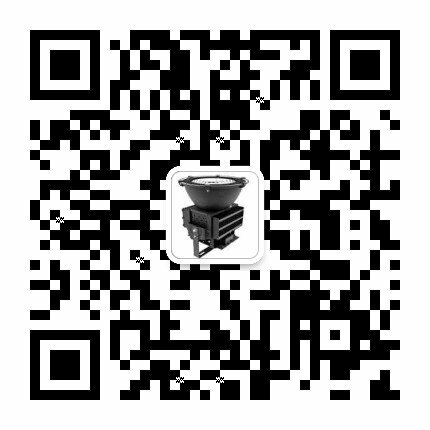 Under the LED lighting of around 3000K CCT, the human eye has decent dark adaption time and color discrimination abilities, the LED light at this CCT also has relatively high luminous efficacy and less adverse effect on our physical and mental well-being. The answer is obvious that high CCT LED lighting should be avoided for street lighting although there're tradeoffs in lighting design, in which luminance, color rendering index (CRI), CCT, glare control, flicker, mesopic vision illuminance, dark adaption, blue light hazard, color perception, fog penetration, and skyglow pollution are integral components of any project assessment that determine a light's suitability for street lighting. Learn more about the roadway lighting with LED street lights from Fanguang Lighting that are designed to improve roadway safety while reducing energy consumption up to 80%,choosing the suitable Color Temperature for your roadway lighting projects.